This ‘Mother,’ Theatrical Costume from ‘Ragtime,’ the Musical is just a sample of what we can do for your Musical or Theatrical Production Costume Wardrobe. We have plenty of Quality Theatrical Costumes & Wardrobes for Professional, Municipal & High School Theatrical Productions. 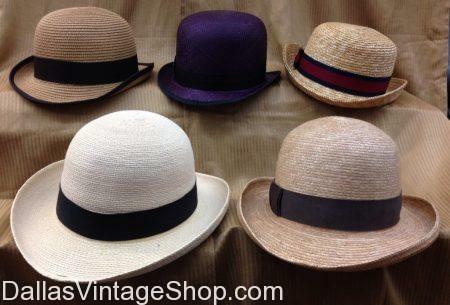 Check out our huge selection of Hats, Gloves, Parasols, Period Dresses, Shoes, Jewelry and more. Here are a few other Theatrical Ideas: Turn of the Century 1900s Period Theatrical Attire, Theatrical Professional Makeup, Theatrical Musical Stage Production Wardrobes, Broadway Hits Theatrical Reproductions Costumes, Theatrical & Masquerade Costumes & Accessories. Ragtime, The Musical, set in the early 1900s and offers a diversity of stereo type characters and amazing costumes. This ‘Father’ Costume is a fine example of some of the Theatrical Attire you will encounter at Dallas Vintage Shop. We are ready to help you wardrobe any Famous Musical with our full line of Characters Outfits. We have Skimmer Hats, Bowler Hats, Top Hats and all the Period Clothing, Costumes and even the Ladies Hats you need for Ragtime, the early 1900s Period Historical fiction Musical. What is your favorite Musical? Let us hook you up with complete Outfits or we will supply you with just the hard to find pieces. You are in Ragtime category.